2018 August 22: Find it at feriwola.com! 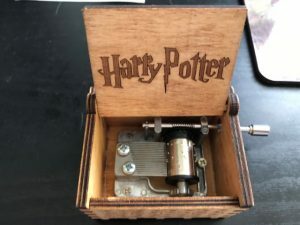 I love this Exclusive Hand Crank Music Box! Find it at feriwola.com! It is available in different themes! I love the Harry Potter one that I received but you can also choose your favorite theme from the following collection – Harry Potter, Game of Thrones, Star Wars, Beauty And The Beast, Island Princess, Davy Jone, The Beatles, Imagine John, Godfather, Jack from pirates, and Angel Love Beautiful. Self Disclosure: I received a free or discounted sample to facilitate this post. No other compensation was received and I only feature items that I recommend. Image: SoCal City Kids. Orthodontists are medical professionals who specialize in aligning malpositioned teeth. Malpositioned teeth tend to take longer to correct in adults, but are easy to rectify in children. That’s why it is always good to seek the services of an orthodontist early, if your child has malpositioned teeth. But like every parent, you don’t want to risk the health of your kids on any random Orthodontist, right? You want someone who will do the job perfectly. If you live in Canton and are looking for an Orthodontist, here are 4 things to look for in a good orthodontist in Canton. Like all other medical professionals, Orthodontists have to attain certain education levels for them to practice. Before engaging the services of one, do a background check to ensure that they have the right qualifications and are licensed to do the job. You can check this with the local orthodontists association, or any other government agency tasked with accrediting orthodontists. If they are registered and have all the right academic and industry credentials, then you can engage their services with confidence. At least you are sure that whatever they do with your kid’s teeth is by the book. The best way to determine whether an Orthodontist is good or not is to check out their customer reputation. That’s because industry reputation is directly related to the quality of service. One of the best ways to check out the reputation of an orthodontist is by checking out their reviews online. If an orthodontist has loads of positive reviews, it’s a go-ahead to engage them. You can also ascertain their reputation by talking to medical practitioners, especially dentists. 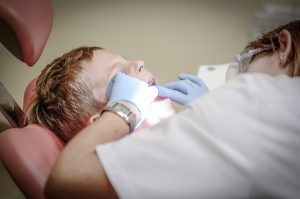 Through their interactions with orthodontists, dentists have an idea of which ones among them are the best. Orthodontists don’t come cheap. However, this doesn’t mean that you should go for an overly expensive orthodontist. Before you engage the services of an Orthodontist, do some search on their prices. A quick google search of the best Canton Orthodontist should give you a list of the best of them, and their pricing. Go for one that is fairly priced, and also has a good reputation with their clients. Don’t overspend, when the extra costs don’t have any extra utility in terms of service-quality. Orthodontists, like other medical practitioners, rely on technology to do their work. As such, the better the equipment that an Orthodontist has at their disposal, the higher the quality of their service. You can always get this information from friends who have dealt with an orthodontist within the canton area. Alternatively, you can visit a few orthodontists and check out the equipment they use. Once you do your research, go for the one that has the most advanced equipment. They are likely to give you a better quality service, by using the latest equipment to align your teeth, or those of your kid. The wellbeing of your family is your top priority, and so it should be. As a parent, you constantly worry about your kids and how you can keep them safe and healthy. And as fall is approaching, so is the season of colder weather and germs. But how can you ensure that your young ones are ready to tackle the fall months ahead and stay healthy? Well, you can learn some neat tips and tricks from blogs like Mommy Authority, and you can follow our simple steps to keeping your family healthy this fall. Because we come into contact with germs through everything we touch, it is important to teach your kids to regularly wash their hands. Make it a rule and a habit that they should wash their hands everytime they; use the toilet, they play outside, blow their nose or before they eat. When their hands are clean, it is less likely that they will transfer germs into their body – causing diseases and other health concerns. Kids, especially younger ones, are notorious for touching their faces, rubbing their eyes and picking their noses throughout the day. Although you may already be telling them to stop picking, you can try to further instill this rule by educating them about germs. Bacteria loves damp places like mouths and noses so tell them that there is a greater chance that they could get sick if they touch their faces too much. As the weather turns, the chances that your family might catch a pesky cold or a case of the flu might increase as well. To help prevent the sniffles from happening, ensure that their immune systems are strong and healthy. There are many multi-vitamins and dietary supplements available that your entire family can take on a daily basis. Try to take supplements that are rich in vitamin C, B6 and E. This will help strengthen their immunity against common strains of bacteria and keep them feeling better throughout fall. Did you know that there are certain foods that can actually lower your kids’ immune systems? Sugary foods such as fruit juices, sweets and anything with refined carbohydrates actually slows down the immune system’s response rate by a few hours – making your children more susceptible to colds and cases of flu. Rather increase their vegetable, probiotic and vitamin levels to boost their immune systems. Talking about probiotics – did you know that increasing your intake of these good bacteria is not only good for your gut health but that it also boosts your immune system? Think about including probiotics in your daily routine but ensure that you are taking the most effective types of probiotics. While it is definitely not advisable to exercise when you have a cold or flu (as your body is already under stress fighting an infection) it is a good idea to keep your family active. Implementing moderate levels of exercise into your family’s routine will improve their overall fitness and health. And as a result of their immune system as well. This is due to more white blood cells being produced, improving the body’s ability to fight diseases. Another immune system killer is lack of sleep. When the body does not get the recommended amount of sleep each day, it slowly starts to affect the way it functions and lowers the body’s ability to fight bad bacteria and germs. This is why you should make sure that your kids are getting enough sleep and that they stick to their bedtime schedule. Don’t let the cold or flu make the next few months unpleasant. There is a lot that you can do to prevent your family from getting sick. Keep them healthy and avoid runny noses and night time coughing. By following these simple steps you can ensure that your family stays healthy and happy right through fall and deep into winter.